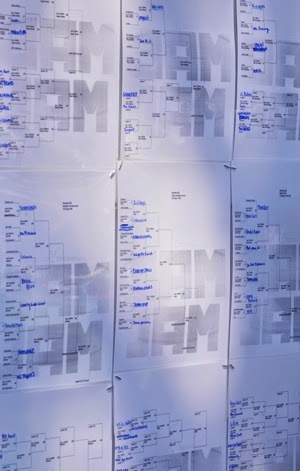 BAM JAM 3 on 3 Basketball: How are teams bracketed? A common question we get is "how are the teams bracketed?" Often, players are concerned that they will be placed in a bracket with players far better, much older/younger or less skilled then they are. Our goal is to create brackets that are balanced and fair to everyone in the bracket, based on the information that we are provided. For youth and high school teams, the first step is to determine which grade they are as a team. Teams are considered to be in the grade of the player that is in the oldest grade. So if there is a player in the 7th grade and 2 in the 6th grade then that team is considered a 7th grade team. Ideally there are enough teams in the same grade to create bracket of the same grade teams. However, from time to time we have to combine two grades in to the same bracket, such as a 7th/8th grade bracket. Keep in mind that we will never combine teams that are more than one grade apart (ie a 9th grade team would not be in a 12th grade bracket). If there are enough teams in the same grade to have two brackets, teams are separated based on the experience factor listed by the players. For adult brackets, the first separation occurs based on the division that teams elect to play for (recreational, competitive, elite). If there are enough teams to create multiple brackets in, say, the adult recreational division, we use age as the separating factor. Keep in mind that it is absolutely impossible to create perfect brackets. We do the best that we can. All the brackets are based on the information that we are provided. And of course there is always the "get hot" factor, where a player that is normally average is "feeling it" during the tournament and performs better than expected (it goes the other way too). All in all, just remember that this is a community event, that the people working it are volunteers, the teams are all playing for t-shirts and come Monday we all have to go back to work! Late registration will remain open until this Friday night so if you want to play, be sure to get your team registered by then. If the bracket you enter on the website lets you register, it means there should be room.